Baby otters are playful and adorable creatures–from their first steps outside of the cozy den their mother prepared for them to their first paddles in the icy water. Veteran science book author Ginjer L. Clarke highlights plenty of facts about baby otters, including how they learn to swim, what they eat, and where they live. Thank you for coming to my shcool. It looks like a good book. Can’t wait to read it. Thanks, Gwyn. I enjoyed visiting King & Queen on Dr. Seuss’s birthday. Happy Reading! Hi my name is Kendall! I like this book! Thanks, Kendall! I’m so glad that you enjoy reading my books. Keep an eye out for Pouch Babies and Watch Out! coming soon. Happy Reading! I loved that book Ginjer !!!!!!!!!!!!!!!!!!!!!!!!!!!!!!!!!!!!!!!!!!! You’re welcome, Skylar! 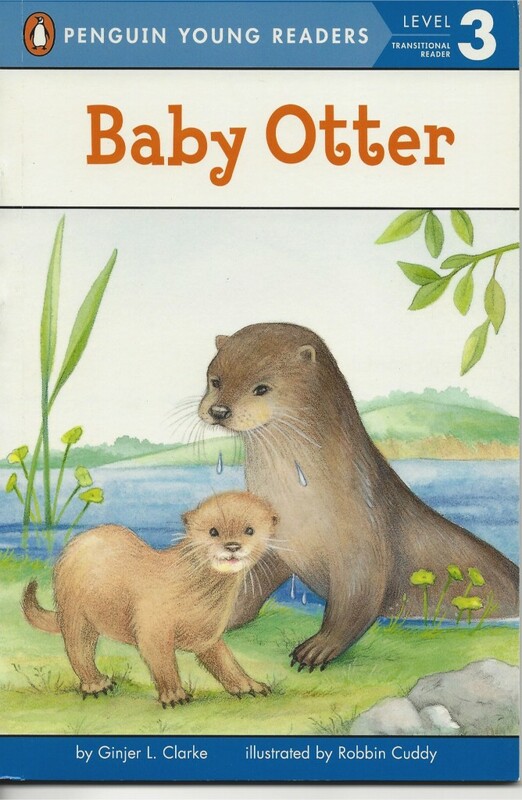 I had a great time talking with your school, and I’m so glad that you liked my Baby Otter book. Happy Reading!